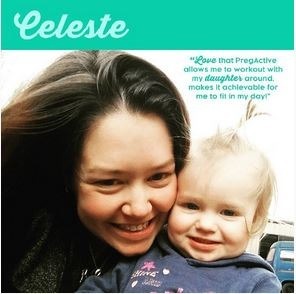 Hear What Our Amazing PregActive Members are Saying! PregActive was so relaxing during my pregnancy I looked forward to some me time to unwind, stop, stretch and work on my body. During the contractions in my labour I used the breathing techniques PregActive sessions taught me, when the contractions become more intense these skills helped so much! Kerryn combines yoga with muscle toning and strengthening. I come out of the sessions feeling relaxed and improved. I like knowing that I can continue to exercise and strengthen my body (especially my back!) in a safe way while pregnant. I feel very comfortable with her advice and recommendations – she is very knowledgeable on the way your body changes during pregnancy, and smoothly adapts and adjusts the sessions to suit you. 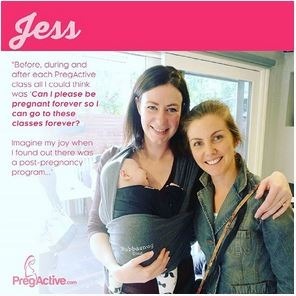 The PregActive classes were excellent for me during my pregnancy! They helped relieve my back ache and gave me confidence in my body for labour. When I’m ready, I’m looking forward to coming back to the post-natal classes!